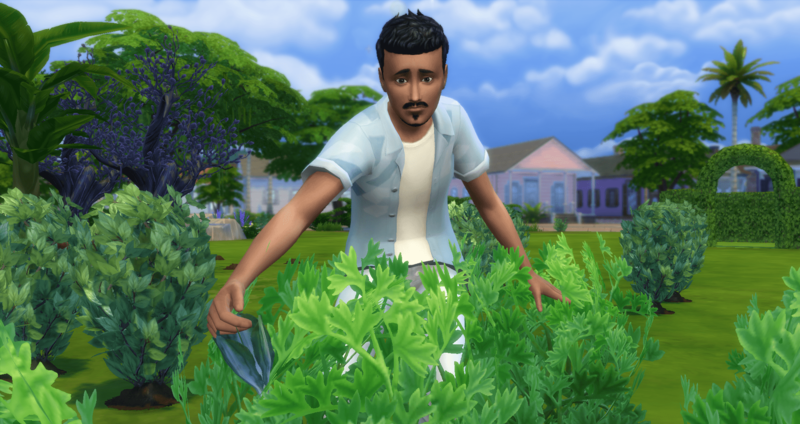 Mr Green Thumb himself, in the flesh. An view from above of the current “future park”. Naked wild child on the loose. 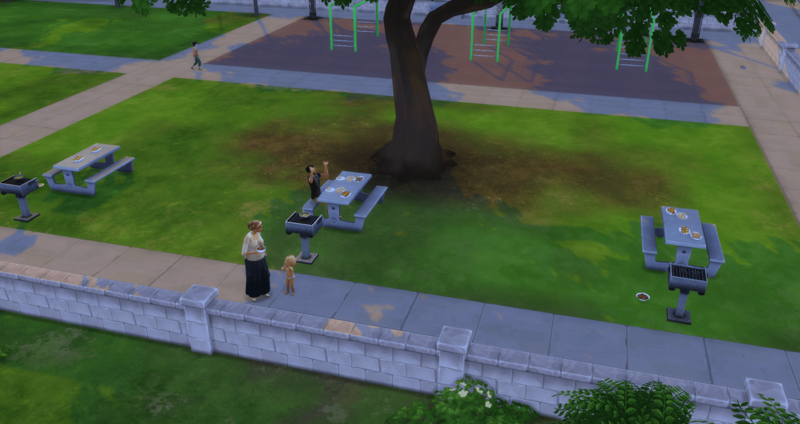 Apparently there was a party at the park across the way. Kinsey heads over to check it out – clothing optional. 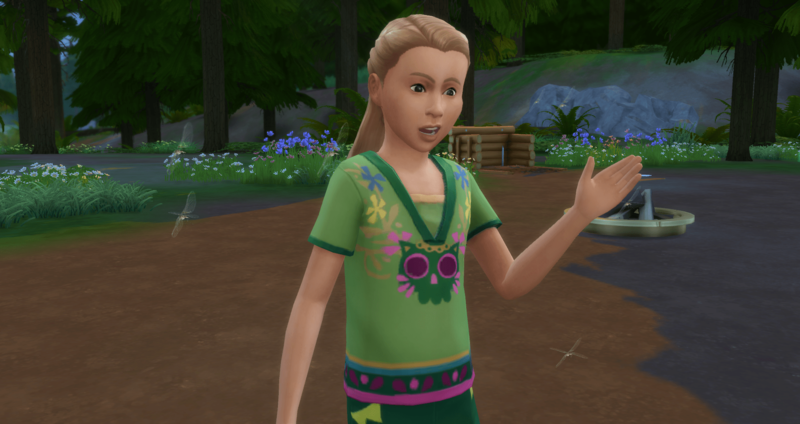 She talks with a stranger and at one point asks the lady to read her a story. 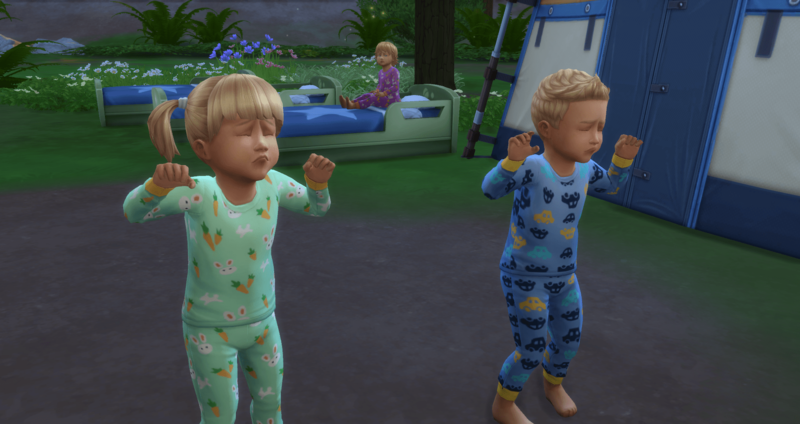 Back at home, the triplets have become toddlers. Lauren heads for the food. Bryan heads for the potty. And, Marissa heads for bed. 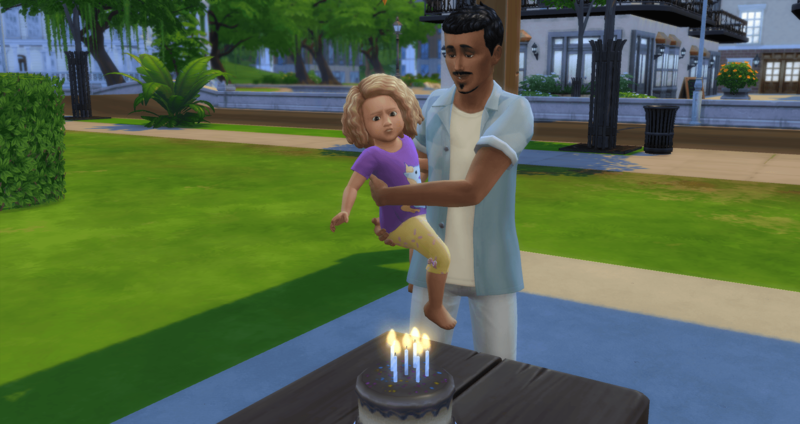 With no time to spare, Nathan bakes a cake for Kinsey and she becomes a child. 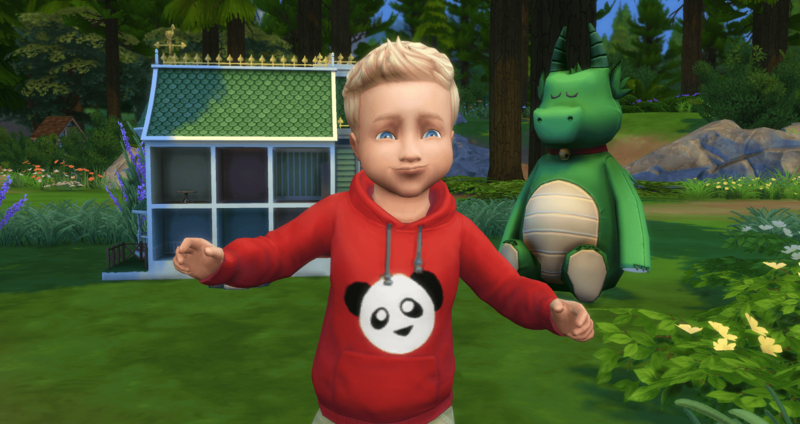 Nathan needs to collect the plants from Granite Falls, so he packs up the family and takes them camping. 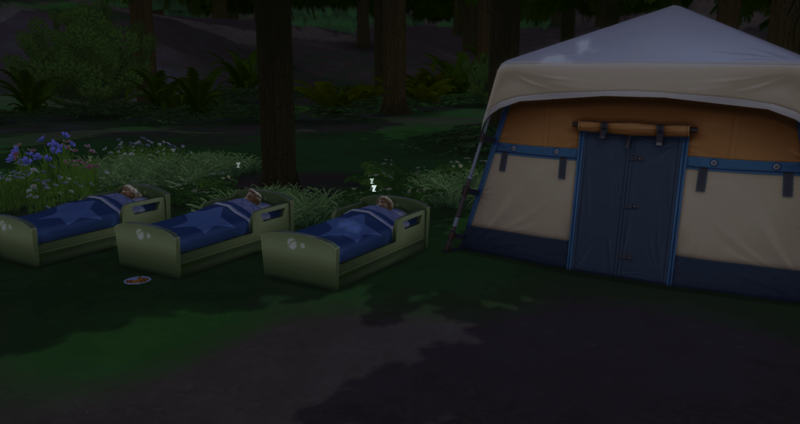 Camping with three toddlers. This is going to be fun. 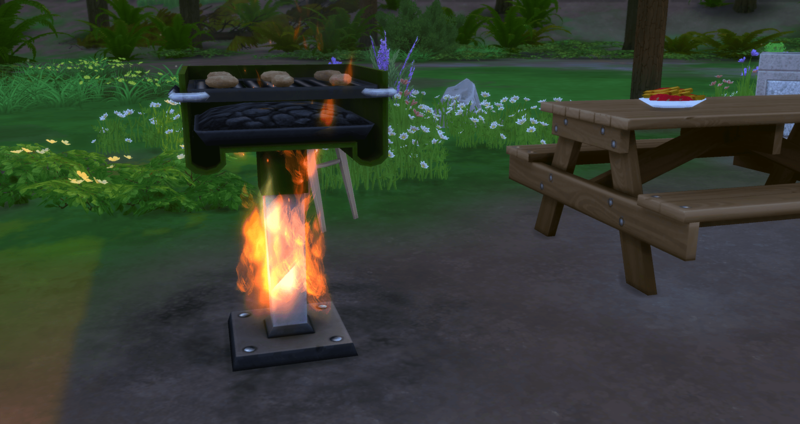 And, as luck would have it, the first thing that happens is for Sofia to set the grill on fire. 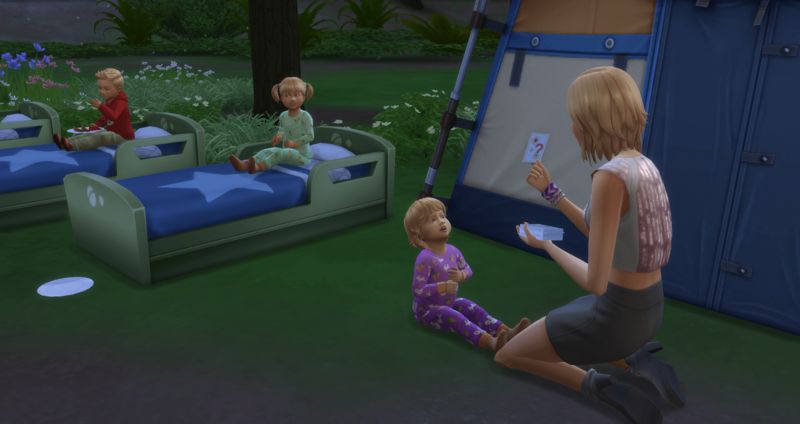 The toddlers are really loving this vacation so far. 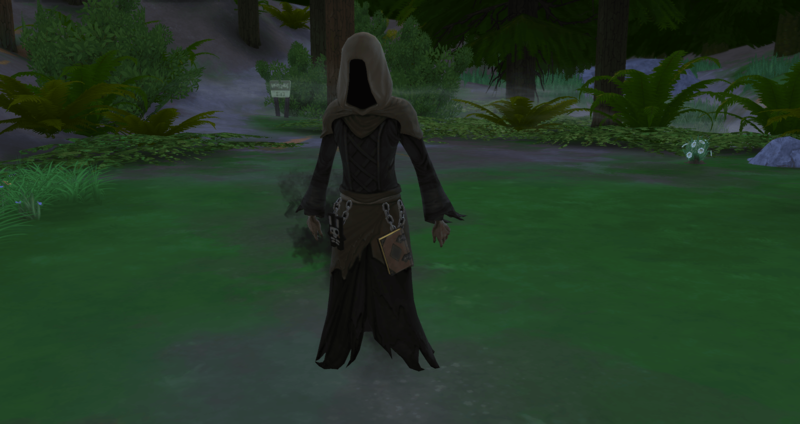 I guess even Grim needs a vacation now and then. Settling in for the first night. Nathan collected everything from the main area around the camp. Tomorrow he will head into the forest. 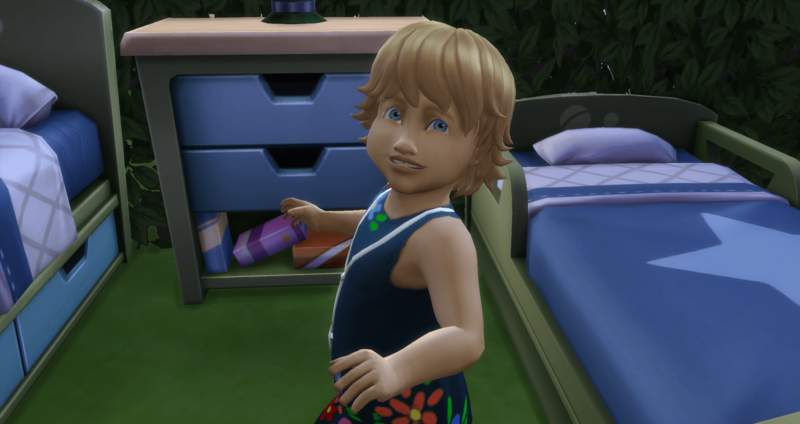 When he gets home from the forest the next day, the kids are all happy and playing. Everyone is in a good mood. And Bryan is feeling free. 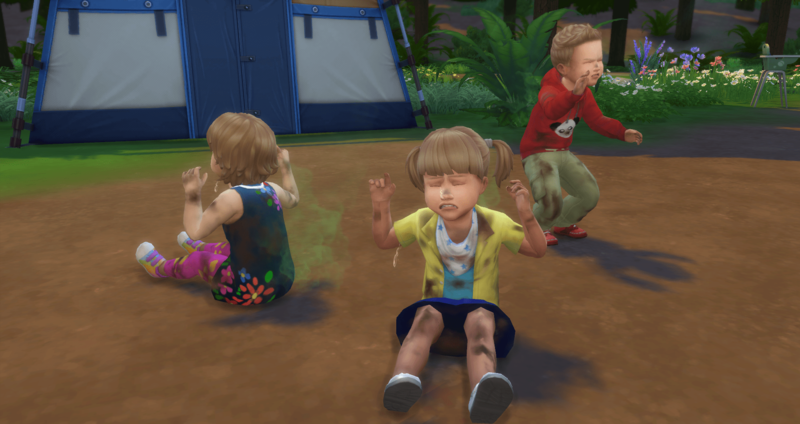 Kinsey isn’t a big fan of the bugs. 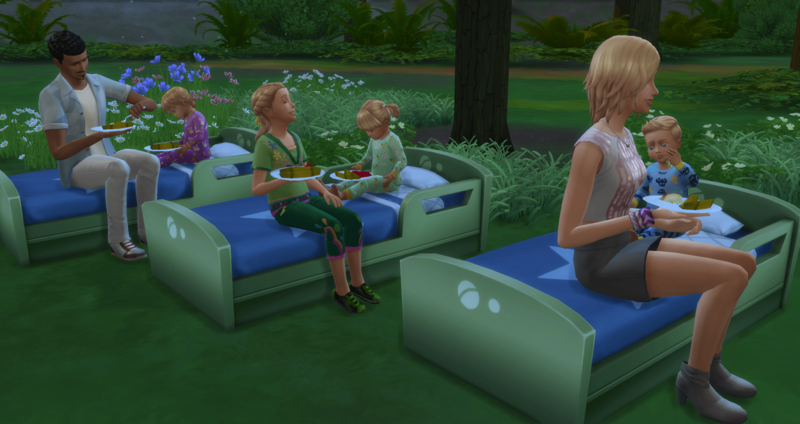 Some eating and some napping. 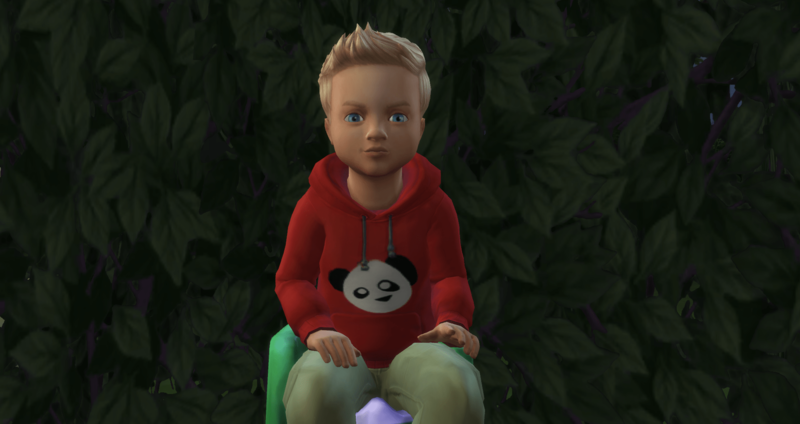 Nathan was able to get most of the plants from the forest, but he heard a rumor that there were rare plants in a hidden location. He is planning on going back tomorrow. Bryan has his clothes on for the time being. 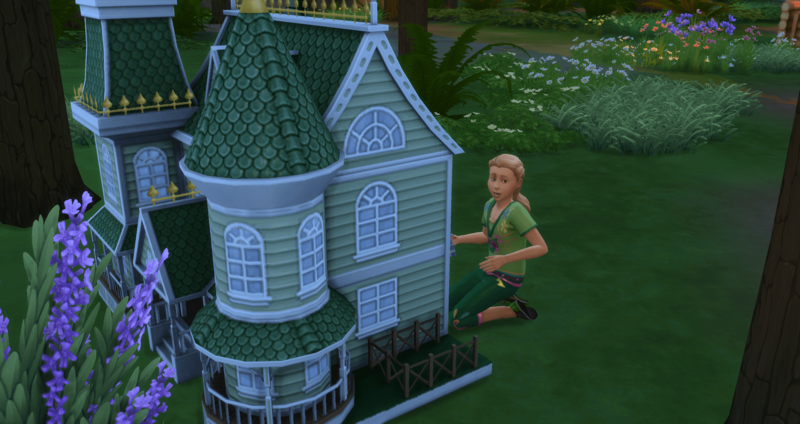 I think he is heading for the potty. Lauren is remembering to use the potty most of the time. Kinsey is checking out the dollhouse. 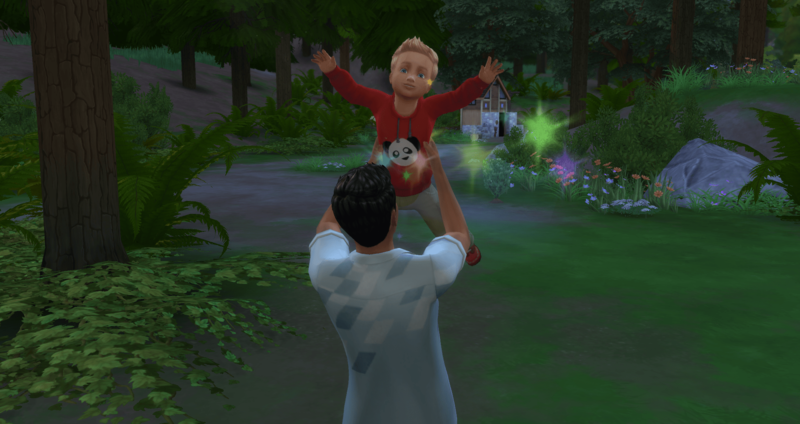 Every time Nathan comes back from the forest, one of the kids is waiting for him. Sofia takes advantage of some good moods to work with Marissa on her flash cards while the others finish up their lunch. 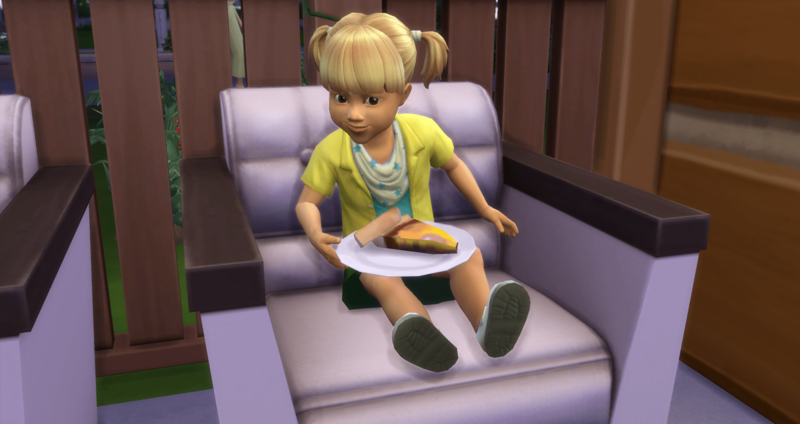 Sofia makes baked potatoes for their dinner. This is what she attempted to make the first day causing the fire. No fire this time. (I know what I want for lunch tomorrow). Another kid waiting for Nathan, wanting to play. 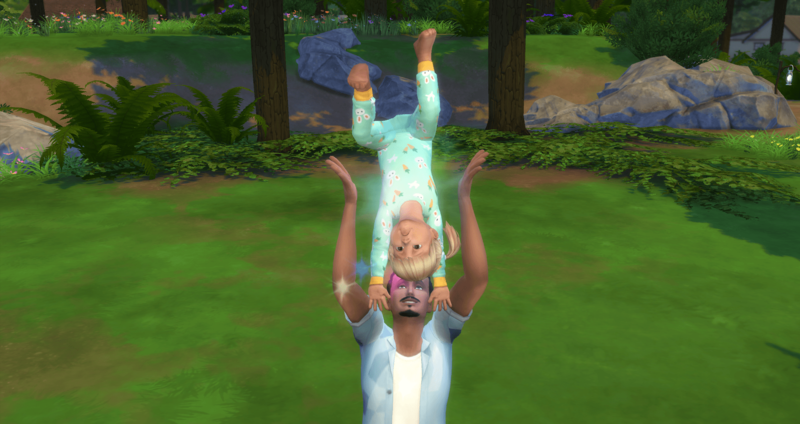 I just realized that when he throws her up, she frowns. The rest of the time she is smiling. 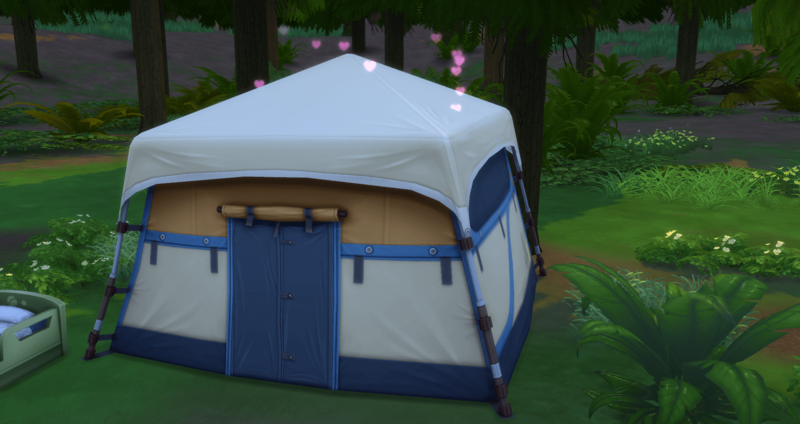 And a little tent woohoo. 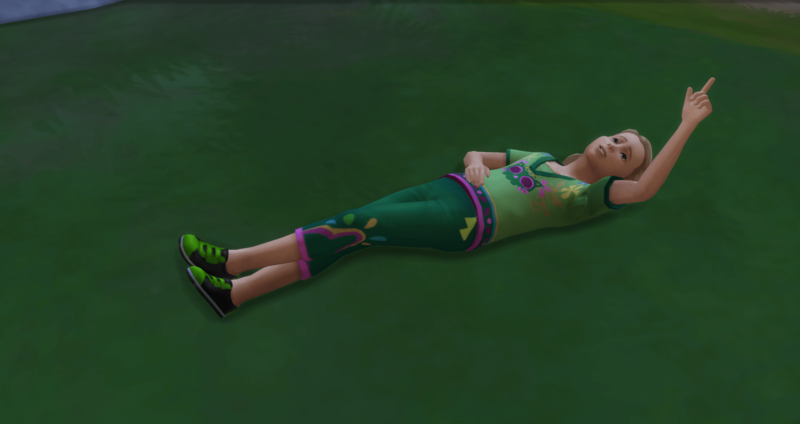 Kinsey enjoys some cloud gazing. 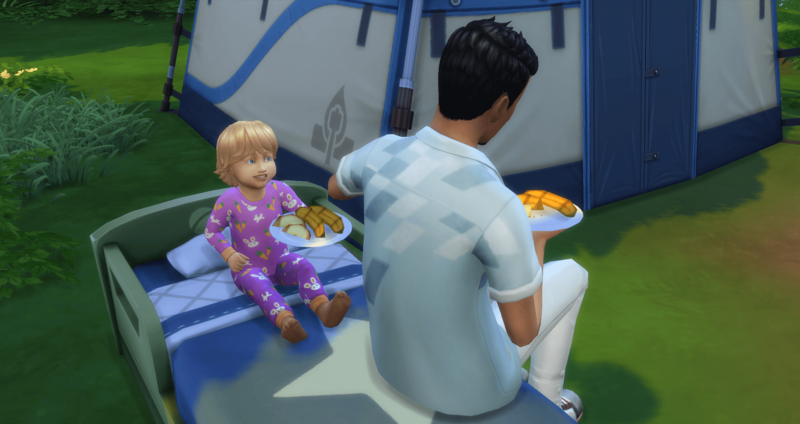 Camping version of the family dinner. 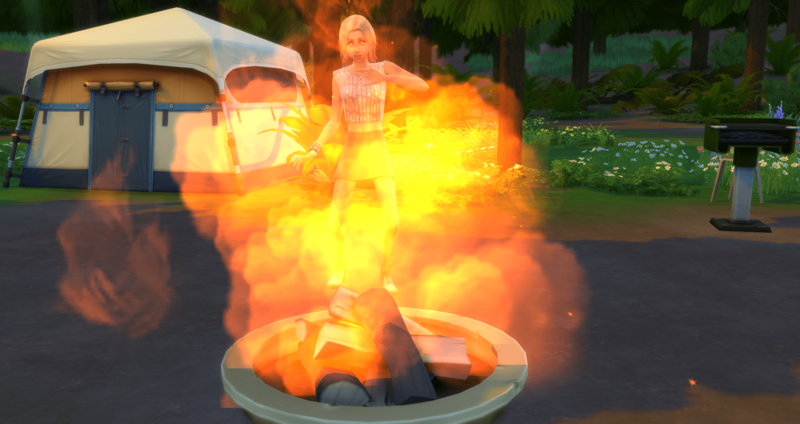 Let’s have a campfire, she says. And once again there is lots of fire. The kids are getting tired and have slept through a few pees and poos. Everyone is stinky and ready to go home. 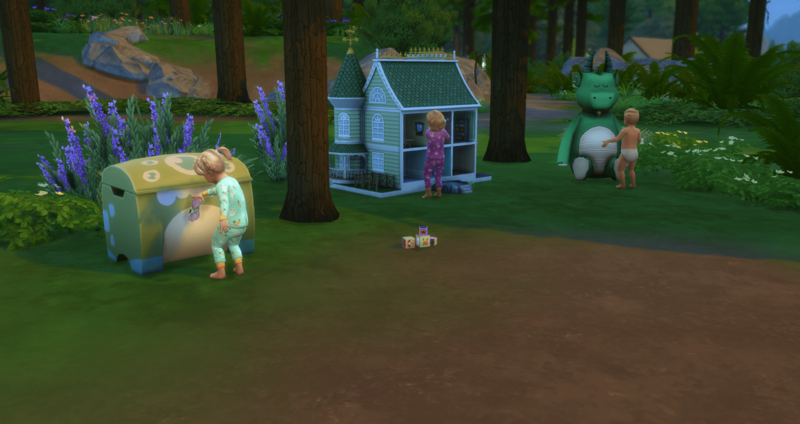 Changing diapers does nothing for hygiene – I don’t even know why it is in the game. Back home it takes hours to get everyone cleaned up, fed, and into bed. Hours. 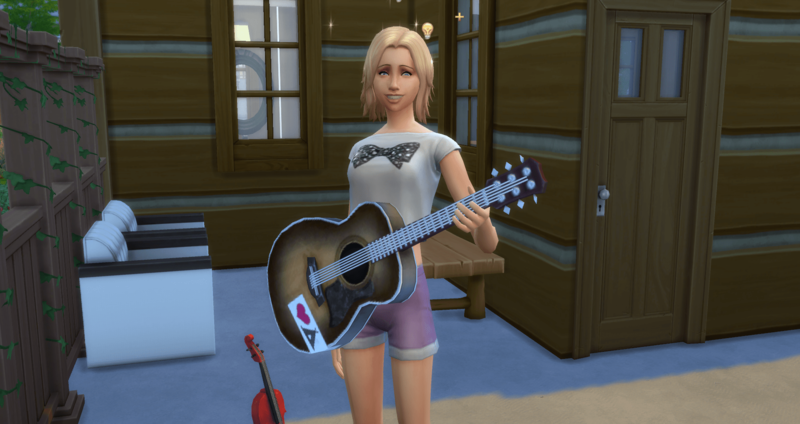 There is only one bathtub… But once they are settled in, Sofia brings out her guitar. 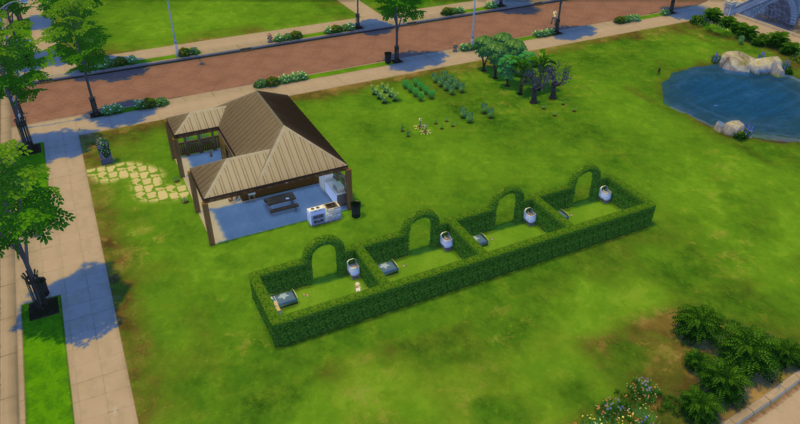 It is time for her to work on her aspiration. Kinsey gets a new art table. She has decided to become an artist.